Home blog Blogapalooza blogger event fashion style When In Manila BLOGAPALOOZA 2014: The Biggest Blogger-to-Business Event! 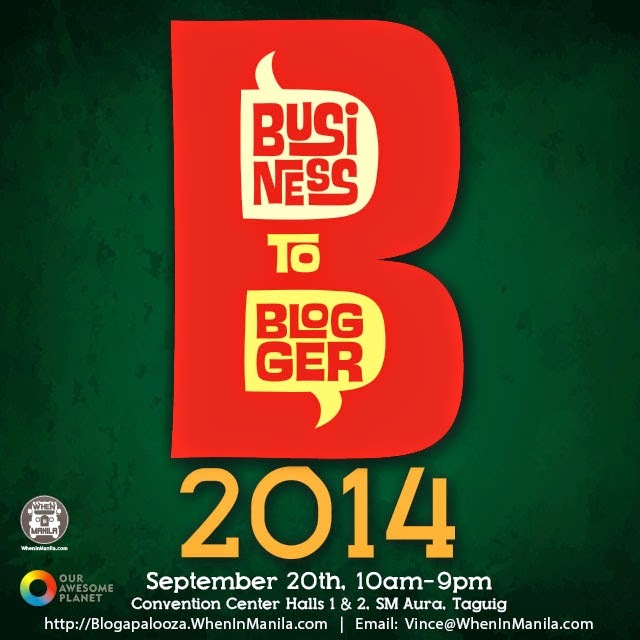 BLOGAPALOOZA 2014: The Biggest Blogger-to-Business Event! As promised, here's my full video featuring my awesome experience at Blogapalooza last Saturday! Thank you so much to When In Manila for organizing this entire event!! I had such a blast and it was great to interact with so many different businesses and fellow bloggers. I definitely made the most out of my time there and grabbed every possible opportunity to forge bonds and relationships with the people in attendance. I'm glad I finally met Jia and Shekinah, two bloggers that I've been following for a while now! Catch a glimpse of them in the video! Wow! It's great that you had fun! How I wish na nandyan din ako to experience an event like that. And I really watched the entire video! Thanks for covering the event dear. I wasn't able to go due to a makeup gig, I was present last year naman. I hope to meet you too next time! love your outfit and you're so flawless! I watched your vlog with my sister and we both love it. Fantastic Kylie, thanks for sharing! Oh! I was there too!! Too bad I didn't met you there. Btw, I have an ongoing giveaway http://bit.ly/Zm5YP4 for my newly dotcommed blog. Hope you'll check it out and join. Thanks! Great video, such a fun and exciting event! You hair looks amazing, by the way..
That is such an amazing event! Sayang, di ako naka attend. Have an awesome day. Wonderful video! Looks like a great event. Aww I wasn't able to attend this year. Looking so much in a video. What an event to attend. It must been such a awesome experience. The event looked fun! I have never been there at all! Must have been so interesting and fun! This is so awesome, what an amazing experience and it looks like you had a blast!!! Love your blue blazer and I find you so charming :) It is kind of different to hear you instead of reading what you have to say! I love it both ways :) Have a wonderful week an thanks for sharing! This is amazing! Lovely post!